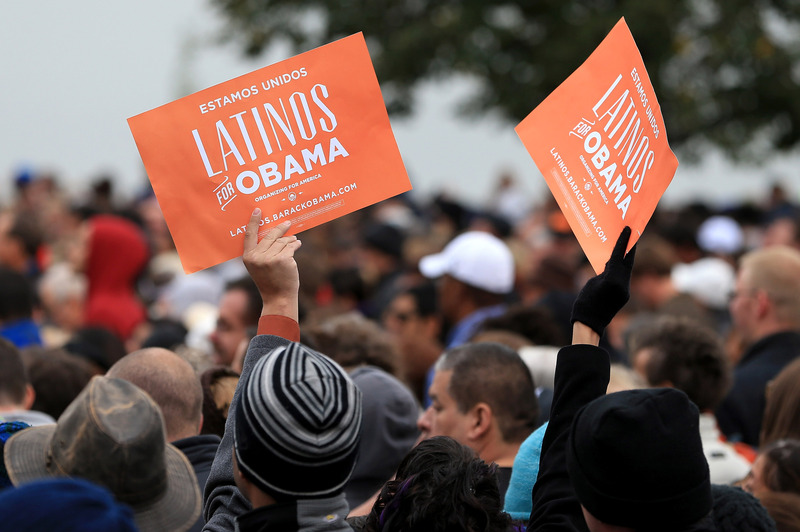 A Gallup Poll released Thursday shows that Latinos, regardless of their birth countries, lean Democratic. With the Latinos vote a huge factor in the upcoming elections, this data could be eye-opening — or at least worth a second look. Researchers interviewed 1,000 Latinos by phone, with a little more than half of the respondents being born outside of the U.S.
64 percent of those whose parents and themselves were born in the U.S. responded that they are or lean Democratic. The percentage slightly dropped, to 57 percent, when the respondent was born in the U.S., but one or both of their parents were born somewhere else. Researchers also found that those born outside of the U.S. were less committed to either party, but respondents still leaned Democratic. Foreign born respondents were more likely to be Independents, but 57 percent of those polled do lean to the left. The majority of the poll's respondents, 51 percent, were born outside of the U.S.
"These differences do little to alter the basic underlying advantage Democrats enjoy across the entire Hispanic population," the poll summary said. Here's what's perhaps most interesting: Those born outside of the U.S. give Obama a 79 percent approval rating, the highest of the three groups polled. This is the same group of which 46 percent are more likely to identify as Independent instead of affiliating with a particular party. Foreign-born respondents were also more likely to report lower salaries and education levels, as well as a greater dissatisfaction with the way things are going in the U.S., when compared with the other two groups polled. "This significant Democratic advantage among Hispanics, regardless of whether they are U.S.-born or immigrants, suggests that simply waiting for Hispanics to assimilate will not be a successful strategy for Republicans hoping to capture a greater percentage of the Hispanic vote," the poll concluded in its implications.